Ford is working to bring Lincoln back to the ranks of true luxury brands. 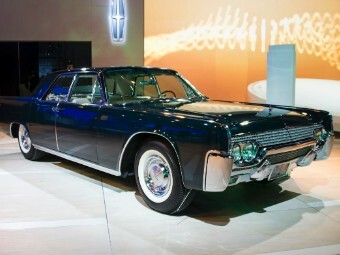 A recent exhibit at the Los Angeles Auto Show demonstrates Lincoln's past glory. If there's one car that could be called "Lincoln's greatest hit" it would have to be the 1961 Continental. It showed just what made Lincoln cars distinct: An understated beauty that didn't rely on chrome or glitz. Powered by a 300 horsepower V8, the car delivered the sort of performance its good looks promised. At a preview of the Los Angeles Auto Show, Ford Motor Co. (F), Lincoln's parent, displayed this car along with other classic Lincolns, as it reminded the assembled journalists what Lincoln used to be and what Ford hopes it can be again.